The Conversations of Peace Series is a series of introduction interviews hosted by MarBeth Dunn with her guest hosts for her World Miracle Peace Experiment. 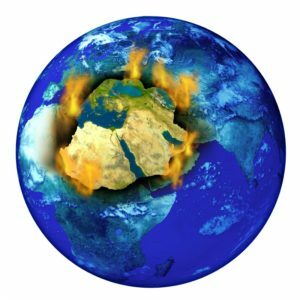 MarBeth’s experiment fulfills her mission for bringing peace to the Middle East and the world through a unified field of consciousness of daily 7-minute meditations. Participants, or “PeaceCasters”, are led through a daily 7-minute meditation by either MarBeth or her guest hosts, with the intention of sending peace and love to the world. If you would like to apply as a guest host, or know someone who would like to guest host, complete an application or send your referral to apply at: http://bit.ly/conversation-of-peace-application. In addition, if you would like to become a “PeaceCaster” and participate in our daily 7-minute meditations for world peace, please register at http://worldpeaceexperiment.com. If you have any questions, please contact us at service@marbethdunn.com. 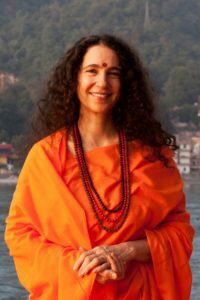 Sadhvi Bhagawati Saraswati, PhD is a renowned female spiritual leader in India. She is President of Divine Shakti Foundation, a charitable organization bringing education and empowerment to women and children. She is also Secretary-General of Global Interfaith WASH Alliance, launched by UNICEF, the first alliance of religious leaders for Water, Sanitation and Hygiene. She is also Director of the world-famous International Yoga Festival. Originally from Los Angeles, and a graduate of Stanford University, Sadhviji has lived at Parmarth Niketan, Rishikesh, in the Himalayas for 22 years, where she gives spiritual discourses, satsang and meditation, and leads myriad humanitarian programs. For more information about Sadhvi, go to http://www.sadhviji.org/. Maureen is an Ascension and 5D MerKaBa Teacher, Mystic, and Akashic Records Guides Founder. She teaches in Ascension awareness tools globally resulting in empowerment and transformation of individuals and organizations. Since 1994, she has traveled and taught meditation, sacred geometry and manifestation. She takes people on Sacred Journeys as well as year-long trainings called the Ascension Institute. Her numerous published works (books, CDs, DVDs) are best sellers on Amazon on in bookstores. Her books have been translated into Italian, Chinese and Russian. For more information about Maureen, go to http://www.maureenstgermain.com/. You can also sign up for her free gift at http://www.maureenstgermain.com/free-download-of-the-month. Relationship consultant, mediator, and speaker, Dr. Rhoberta Shaler, The Relationship Help Doctor, provides urgent and ongoing care for relationships in crisis. Her mission is to help people stop tolerating abuse. Even the United States Marines have sought her help! Dr. Shaler focuses on helping the partners, exes, and adult children of the relentlessly difficult people she calls “Hijackals®” to stop the crazy-making and save their sanity. Author of sixteen books including Escaping the Hijackal Trap and Stop! That’s Crazy-Making, she hosts two podcasts: Emotional Savvy Show and Save Your Sanity, and her own channel, Emotional Savvy, on Binge TV Network. For more information about Rhoberta, go to https://forrelationshiphelp.com/. You can also sign up for her free gift at https://www.forrelationshiphelp.com/help-handling-hijackals-spot-signup/. Sheila Unique is the CEO & Founder of The Unique Approach. In business for over 15 years, Sheila empowers and inspires purpose driven women leaders to step up their game in business! As a Master Intuitive and Energetic Master, Sheila disrupts and dissolves energetic signature patterns. She continues to do speaking, personal mentoring and writing. 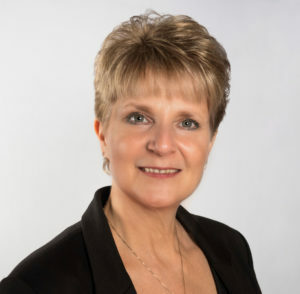 Sheila is a international best-selling author and is currently writing her second book. For more information about Sheila, go to http://theuniqueapproach.com/. For more information about Eva, go to http://www.evacharlotte.com. You can also sign up for her free gift at http://www.evacharlotte.com/WorldMiraclePeace. 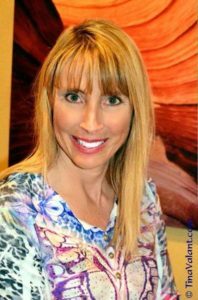 Emily is celebrated internationally as an author, speaker, spiritual teacher, intuitive business and life coach, and transformational visionary guide. She is known for her unique and powerful gifts to deliver accurate and loving guidance from the Angels and Ascended Lights. Her delightful humor, playfulness, and loving presence powerfully shift individuals out of psychological and spiritual difficulties, and into a higher states of knowing, love, peace, healing, and Divine recognition. She has guided thousands of individuals into intuitive awakenings, personal and creative growth, and transformations in their capabilities to create the life of their dreams. For more information about Emily, go to http://www.theangelcoach.com. Catastrophic-stroke survivor, inspirational keynote speaker, university lecturer, and CEO of The Heart of Living Vibrantly, Center for Mindfulness and Self-Mastery, Valerie uses the principles in her multi award-winning, #1 best-seller, Living Happy to Be ME!©, to guide young people and adults, executives and entrepreneurs to happiness, success and fulfillment. It’s the centerpiece of her transformational practice, and her partnership with the University of California, Irvine where she’s piloting her Consciousness-raising content in a ​curriculum called Living 101: Being Happy and Whole. She’s been featured on the cover of My Authentic Life Magazine, published in 11:11™ Magazine, and is a featured Luminary on InspireMeToday.com™. She has also been featured guest on numerous leadership and heart-centered living radio shows, podcasts and tele-summits. For more information about Valerie, go to https://happytobeme.net/. Marian Head is a businesswoman who built a multi-million dollar global business, an educator who co-chaired the nation’s first graduate department of Leadership and Organizational Transformation, and a world-class facilitator, serving some of the most transformative global events in our history, including the historic Global Forums of Spiritual and Parliamentary Leaders on Human Survival. As the award-winning author of Revolutionary Agreements: A Personal Path to Peace on Earth and Founder of Agreements Institute, Marian offers visionary leaders a program they can use to spread love, peace, and joy to their communities. For more information about Marian, go to https://agreementsinstitute.com/. You can also sign up for her free gift at http://freeposternow.com/. For more information about Kerri, go to http://www.kerrihummingbird.com/. You can also sign up for her free gift at http://www.kerrihummingbird.com/gift. 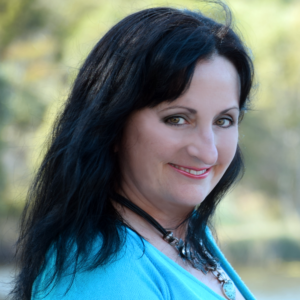 Lorraine Meyer, CHt, HDD, is an Usui Reiki Ryoho Master Teacher, a Guided Meditation Facilitator, Akashic Records Consultant and Founder of Healing Arts of the South. She is a transformer, a guide for the process of personal evolution through Self-creation and the realization of ones Higher Self. Lorraine’s journey has taken her on sacred pilgrimages, connecting her with extraordinary teachers. Her mission is to inspire others to join the awakening-taking place on our planet and in our hearts. 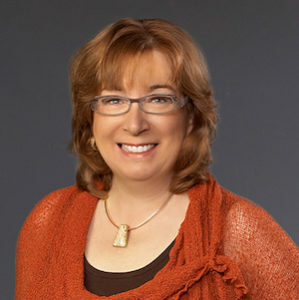 Lorraine serves as the Director of Holistic Healing for the Kent-Cook Institute for Psychic Development. 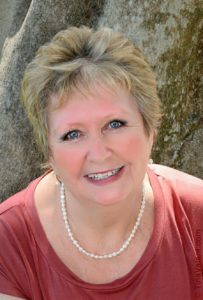 For more information about Lorraine, go to https://www.healingartsofthesouth.com/. 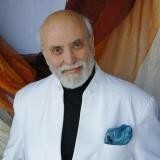 Gary is a Speaker, Author, and Master 20+ year Constellation Facilitator. 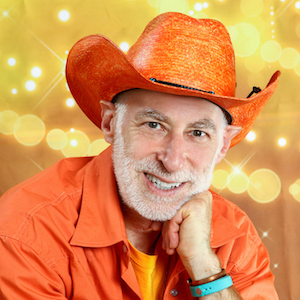 He has been documenting his healing experiences over the past several decades. As a young student of Primal Therapy and Shamanism, his insightful writings provide a unique perspective on the correlation between the micro and macro-cosmos, between our inner and outer worlds. His first book on Constellations Many Hearts, One Soul set the stage for his latest book Master Your Universe: How to Direct & Star in Your Own Life. 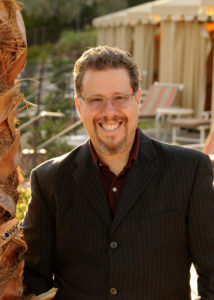 He speaks and leads healing workshops and trainings nationally and internationally, and resides in Rancho Mirage, CA. Distance Family or Organizational Constellations are his healing specialty! For more information about Gary, go to http://www.constellationhealinginstitute.com/ or you can sign up for his free gift at http://garystuarthealing.com/2018/04/bow-card/. Dr. Lin Morel is a thought leader, visionary, intuitive and peacemaker. For decades she has worked with individuals and organizations committed to transforming their lives and the lives of those they touch. Her ability to access the unseen multi-dimensional energetic aspects of challenges has impacted millions of people, helping them transform and heal into personal mastery and the expression of their innate brilliance. For more information about Dr. Lin’s work, go to http://drlinmorel.com/. You can also get information about her book at https://amzn.to/2Pzhcvd. Dr. Jamie Turndorf is known to millions as Dr. Love, through her website AskDrLove.com–the web’s first and immensely popular relationship advice site since 1995. Dr. Jamie is the author of the #1 International Bestselling Hay House book Love Never Dies: How to Reconnect and Make Peace with the Deceased–translated into 34 languages. Her groundbreaking Trans-Dimensional Grief Resolution method guides the bereaved to reconnect and instantly heal grief. For nearly 3 years, she hosted the Love Never Dies radio show, the no. 1 program on the Hayhouse Radio network. The Love Never Dies show is now heard over Dreamvisions 7 Radio Network, which broadcasts in 142 countries. 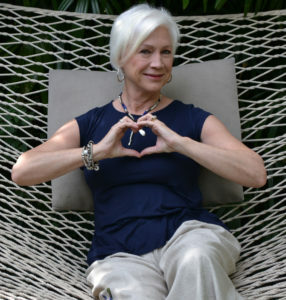 If you’re ready to reconnect with your loved ones in spirit and transform your grief to joy, healing and prosperity, Dr. Turndorf invites you to apply for a seat in her exclusive online group, the Love Club (www.askdrlove.com/theloveclub). 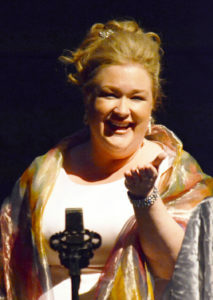 Christine Powers is a Cathedral of Sound — a dynamic soprano and wisdom-keeper who awakens and opens hearts. Her gifted voice extends beyond singing as writer and poet; energy practitioner; teacher and presenter on topics like purpose and power, expansion through sound, and thriving after catastrophic loss. She is an “activator” for those longing to live a joyful, conscious life. She is a metaphysical mountain climber with deep wisdom, offering music, workshops, writings, sound attunements, and adventure retreats. Christine is the founder of the Philosophers Camp held on the 100 acres in the Adirondack Mountains of New York where she lives. She is currently visioning the creation of a tiny-home, micro-momentary community on her sacred land. For more information on Christine’s work, go to http://christinepowers.com/. Laurie Seymour, M.A., is a #1 best-selling author, host of the popular Wisdom Talk Radio podcast, speaker and founder of The Baca Journey. As a transformational mentor/guide, she works with people who are at a life crossroads. They know there is more for them, and they want to know how to connect with the answers that await them when they go inside. These are the answers that will sustain them. Laurie was initiated as Turaya Grand Master in 1997 and teaches Turaya Meditation and Turaya Touch online and around the world. For more information on Laurie’s work, go to http://www.thebacajourney.com/. Get your free 7-day mini-course, 7 Awareness-Provoking Experiences, with illuminating and easy exercises you can do today to strengthen your inner connection at https://thebacajourney.com/7-awareness-provoking-experiments/. 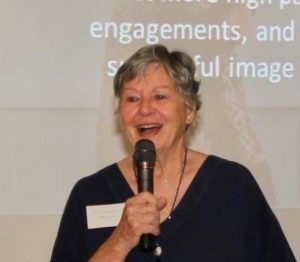 Dr. Meribeth Dayme, PhD, is an exceptional personal performance coach known worldwide for her pioneering work and expertise in the function and use of the human voice. She is a coach and consultant for leaders in the fields of business, and well known coaches in theater, voice and singing. 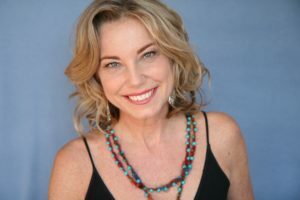 Specializing in personal transformation and captivating performance, she works with entrepreneurs on the unseen energetic components of voice and presence that make lasting impressions and create visible results. Her spiritual journey manifests in her energetic and conscious approach to presentation and performance. Her books include: The Performer’s Voice, and Presence, Confidence and Personal Power. For more information on Meribeth’s work, go to http://www.meribethdayme.com/. Dianne Collins, a highly acclaimed leader of new consciousness, and popular media personality is the creator of QuantumThink®, the groundbreaking system of thinking offering us a methodology – 21 specific, advanced principles where Dianne blends scientific insight and spiritual knowledge into practical modern wisdom – to create real solutions for our modern lives – from inner serenity to relationships, business results, and global affairs – through awakening awareness and expanding the way we think. Dianne is an 8-time award-winning author of bestseller, Do You QuantumThink? New Thinking That Will Rock Your World, considered a “must-read” for our changing times. For more information on Dianne’s work, go to http://www.diannecollins.com. 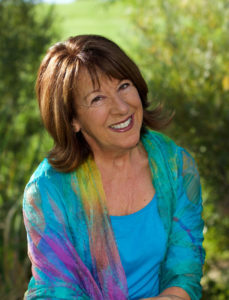 The link with details on Dianne’s course is http://bit.ly/diannecollins. For more information on Christopher’s work, go to http://www.christophertims.com/. Kim O’Neill is a former Crime Analyst who now provides personal empowerment and interview confidence coaching for heart-centered professionals and youth. She also hosts the “Every Day is a New Day” Show – inspired conversations about moving forward and choosing to embrace a positive outlook. 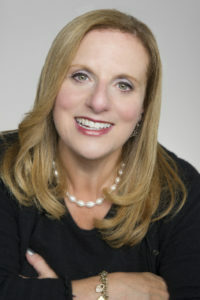 In 2017, she co-authored the bestseller “Positive Minded People: Inspiring Stories of Overcoming Adversity for Living a More Positive Life.” As an inspirational speaker, Kim aims to remind audiences the importance of knowing who they are; about the informational value of their emotions; and how to move forward when they don’t know how. Kim’s philanthropic work includes youth mentoring and interview workshops. For more information on Kim’s work, go to https://www.kimoneillcoaching.com/. Jennifer Hough is a Best-Selling Author, Seer, and Lover of Life. In her 30’s she experienced a profound transformation and now sees life, people, and the world as an energy holograph. This gift allows her to find incongruent patterns that stop us from flourishing. She sees and engages metaphysical tools that bypass the need to constantly analyze by going direct with consciousness. Jennifer’s work is for those that know “it’s time” to get on with their heart’s call on the fast track. For more information on Jennifer’s work, go to http://www.thewideawakening.com/. 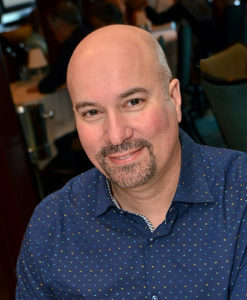 Keith has appeared on many popular radio and television broadcasts, and his work has been covered by Inc. Magazine, LA Weekly, The Huffington Post and Succeed Magazine just to name a few. For more information on Keith’s work, go to http://www.leonsmithpublishing.com/. 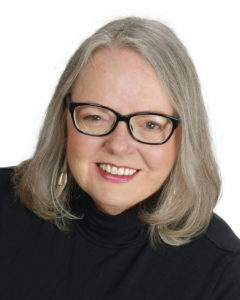 In her consulting business, Intuitive Leadership®, Intuitive Business Accelerator Coach, Speaker and Best Selling Author, Terry Wildemann, is Powered by Angels and works with socially conscious CEO’s, small business owners and leaders to take their business to the next level with speed, ease and flow. For more information on Terry’s work, go to http://www.intuitiveleadership.com/. 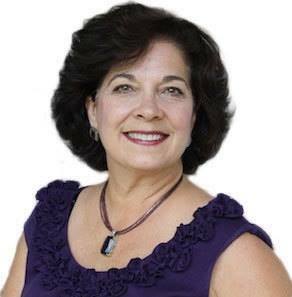 Teri Angel is a Certified Happiness Coach and spiritual mentor, as well as a psychic/medium and energy healer. She is the founder of TIME Heals. Teri has led and taught meditation groups locally and online for over 30 years. Teri is the author of The Doctor Said What?, TIME Heals, Hugz~Love: My Five-Month Journey From Cocoon to Butterfly, Changes: Life Changes When You Do, and Gratitude Vase. She is currently working on her 6th book, TIME Heals Animals. Teri resides in Ft. Lauderdale, Florida with her 2 very intuitive cats, Gizmo and Taz. For more information on Teri’s work, go to http://www.angelspeakers.com/. 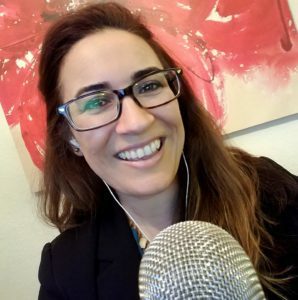 She is also hosting her latest AngelSpeakers event, for more information, go to https://www.angelspeakers.com/angelspeakers-live. Satyen Raja is known as the private transformational mentor, advisor and confidant to the powerful and influential. A remarkable living synthesis of eastern wisdom and western practicality, Satyen combines the power of the warrior and wisdom of the sage to inspire audiences & leaders worldwide into their highest impact and personal fulfillment. 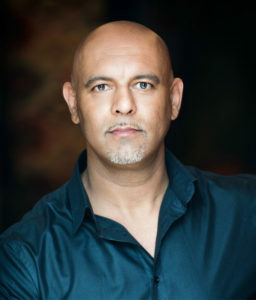 For more information on Satyen’s work, go to http://www.warriorsage.com. 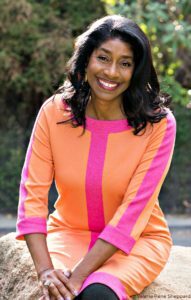 Kenya is a Berkeley, CA native with 30+ years working with children and families. She has won awards for teaching and writing, and she is the recipient of the 2014 San Francisco Fashion Award for Best Makeup Artist. 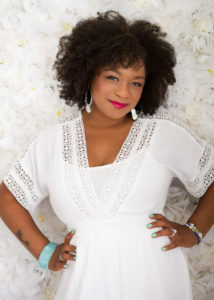 After earning a Bachelor’s degree in Psychology and a Master’s degree in Counseling Psychology, she became a social worker, a professional freelance makeup artist, and, in 2016, a registered yoga teacher. In 1999, she created a spirituality group for her caseload, all teen girls who had been diagnosed with Post-traumatic Stress Disorder. This group led to the creation of a “spirituality curriculum” of sorts that eventually turned into her book, “Sacred Girl: Spiritual Life Skills for Conscious Young Women.” Kenya facilitates workshops and teaches yoga throughout the Bay Area. For more information on Kenya and to learn more about her new book, go to http://bit.ly/KenyaAissaBook. Watch Kenya’s Conversation of Peace replay with MarBeth Dunn below. Despite all he has been through, his compassion and humor earned him the nickname “The Irreverent Sage”. A speaker, author, thought leader, and founder of the MasterHeart Institute, he continues to move audiences to deep and lasting transformation. For more information on GP’s work, go to http://gpwalsh.com/lor. Watch GP’s Conversation of Peace replay with MarBeth Dunn below. Serenity is the recipient of the 2017 Global Influencer & Heart and Spirit Awards. She is a best-selling Co-Author, Results Coach, Mentor, and Imagineering Expert. 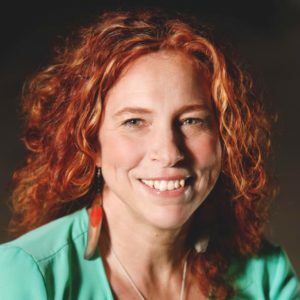 She is Creator of The SoulSync Process: a conversational energy resolution tool that leaves you and the participants feeling deeply loved and serene. For more information on Serenity’s work, go to https://www.serenityravenwolf.com/clarity-process-g2. Watch Serenity’s Conversation of Peace replay with MarBeth Dunn below. 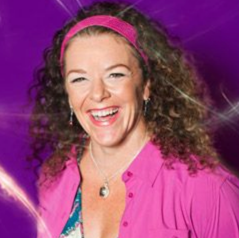 Intuitive, Healer, Author, Co-host of "The Mindset Reset TV Show"
Lisa Winston is an Intuitive and Healer. Having gone through numerous challenges, including losing her home to wildfire and breast cancer, she also teaches how those challenges are sent to refine and not define you. 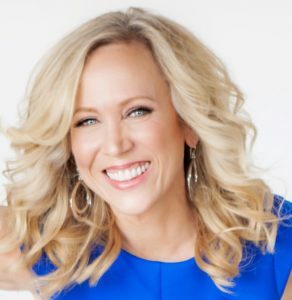 She has produced many global summits with top influencers, has been featured on national radio and podcasts, and will be releasing her book “Your Turning Point” in the Fall of 2018. Lisa co-hosts “The Mindset Reset TV Show,” seen weekly by 500 million viewers worldwide. 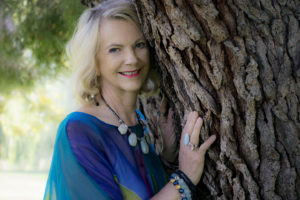 Her mission is to support people in connecting to their inner guidance and love so they can shine more brightly in the world. For more information on Lisa’s work, go to http://www.yesequalssuccess.com. Watch Lisa’s Conversation of Peace replay with MarBeth Dunn below. 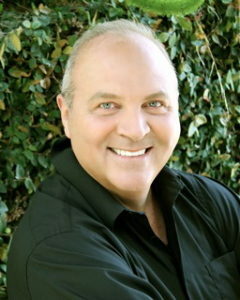 Harrison Klein is an award winning personal growth transformationalist, wealth and business growth consultant whose mission is to personally change 1,000,000 lives across the globe and help entrepreneurs, sales people, executives, coaches, marketers and healers build multi-million dollar companies, and achieve the very best versions of themselves and reach personal and/or business fulfillment. For more information on Harrison’s work, go to http://www.iamharrisonkleininternational.com. Watch Harrison’s Conversation of Peace replay with MarBeth Dunn below. Karen Palmer is the mom who made a wish and started a kindness revolution. She is the founder of the #GlobalKindness Revolution, while networking with many to co-create a kinder and more loving world. She has been nicknamed “The Queen Of Global Kindness,” and is also known as a “Modern Day Mystical Mr. Rogers” who uses music, meditation, mindful practices, and mantras for empowerment of all ages. She is an Angelic/Animal Communicator and Certified Akashic Records Reader and Reiki Master. For more information on Karen’s work, go to http://www.globalkindnesstv.org/dream. Watch Karen’s Conversation of Peace replay with MarBeth Dunn below. 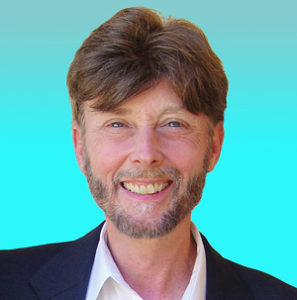 Howard Martin is one of the original leaders who helped Doc Childre found HeartMath and has been with the organization since its inception in 1991 serving as a key spokesperson and executive. In 1999 he co-authored with Doc Childre, The HeartMath Solution, published by HarperSanFrancisco , considered to be a classic and the definitive work on the intelligence of the heart. Howard is also a contributing author of the new book, Heart Intelligence, Connecting with the Intuitive Guidance of the Heart. Howard played a key role in launching the Global Coherence Initiative (GCI), a science-based, co-creative project to unite people in heart-focused care and intention, to facilitate the shift in global consciousness from instability and discord to balance, cooperation and enduring peace. 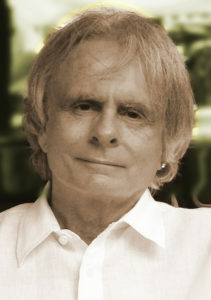 For more information about Howard’s work, please go to: http://heartmath.com. Watch Howard’s Conversation of Peace replay with MarBeth Dunn below. 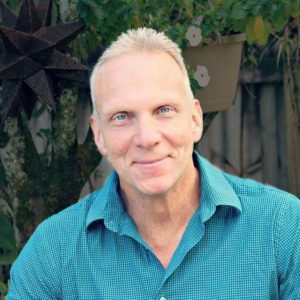 Robert Clancy is a creative visionary, #1 international bestselling author, spiritual teacher and co-founder of Spiral Design Studio. At age nineteen, Robert had a divine spiritual experience that altered his life in profound ways. In 2012, he created the Robert Clancy – Guide to the Soul Facebook fan page, where he shares his divinely inspired thoughts, now followed by nearly 700,000 people worldwide. He is a sought after speaker, presenter and guest. Robert is also a regular contributor and weekly guest on Los Angeles KABC Radio’s syndicated Late Night Health Radio Show. He’s also co-host and producer of The Mindset Reset TV Show, which has a global reach of 500 million viewers weekly. His latest book Soul Cyphers: Decoding a Life of Hope and Happiness released October 2017 quickly became a #1 international bestseller. For more information about Robert’s work, go to: http://www.guidetothesoul.com/. Watch Robert’s Conversation of Peace replay with MarBeth Dunn below. 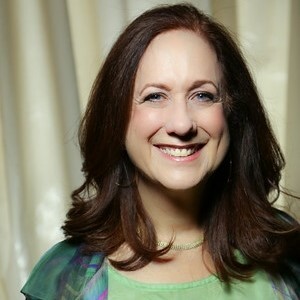 Sharon Carne is an author, speaker, musician, recording artist, sound healer and consultant. Sharon is the founder of Sound Wellness and the Sound Wellness Institute. Through the Sound Wellness Institute, holistic health practitioners receive the highest level of competency training in Canada in using sound and music to support their practice. Sound Wellness programs are at the forefront of education in how sound and music can be easily applied to your everyday life – to reduce stress, help you concentrate, energize you, inspire you and support your health. 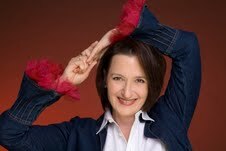 For more information about Sharon’s work, go to: http://www.soundwellness.com. Watch Sharon’s Conversation of Peace replay with MarBeth Dunn below. Swami Tirtha is the co-owner of two TV networks, Guiding Star Veterans TV & Youth Success TV, and is the TV host of “Talking with Our Angels”. During the past 4.5 years teaching wellness & consciousness, he wrote a #1 bestseller and presented to the White House wellness commission. Swami survived a devastating tragedy at age 17 by learning to meditate and become a monk. His mission is spreading the light of joy to help bring global peace. He is currently targeting his first movie — a comedy about learning to listen to our hearts and seeing the miracles that are all around us. For more information about Swami’s work, go to: http://TalkingWithOurAngels.com. Watch Swami’s Conversation of Peace replay with MarBeth Dunn below. and we need YOU to spread the word! Feel free to share our website link (http://worldpeaceexperiment.com) with your friends and family via email or social media, so that we can all unite together in peace and love!